ONE RUGGED DEVICE. CLOUD READY. APPLICATION ENABLED. 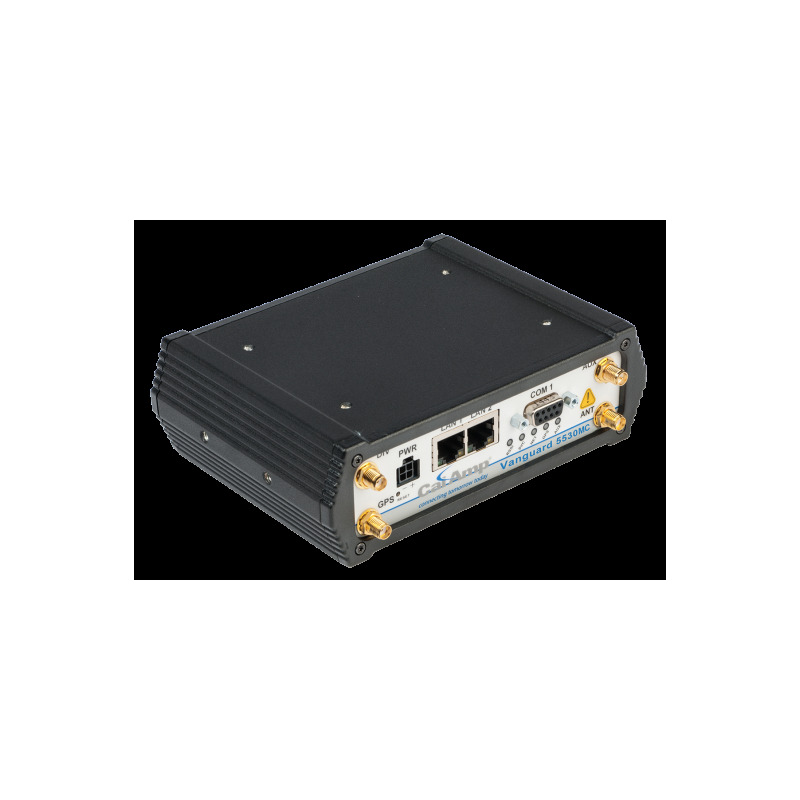 The CalAmp Vanguard 5530MC provides multi-carrier availability featuring 4G LTE broadband and 3G fallback connectivity capabilities, with optional Wi-Fi, high-precision GPS and a broad array of I/O ports, to reliably support data intensive real-time applications. 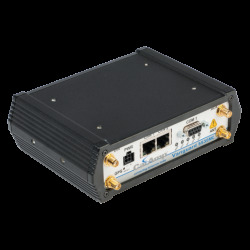 The Vanguard 5530MC offers the fastest cellular broadband technology integrated with extensive routing capability, delivering robust connectivity and secure high speed data transfer for a broad array of devices and applications. The multi-carrier feature enables a single product to be deployed across different carriers to simplify device selection and offer a future-proof technology investment. It enables wireless data connectivity for up to two LANs and one serial device over public cellular networks at 4G speeds with strong, enterprise-grade security (IPSec, WPA-2) to protect against external threats. The Vanguard 5530MC provides reliable connectivity for Programmable Logic Controllers (PLCs), Remote Terminal Units (RTUs) and any other Ethernet or serial device. This single, flexible platform addresses a variety of wireless communications needs with over-the-air configuration and system monitoring to reduce operating and support costs. In mobile environments, an optional, built-in secure WiFi access point allows up to 25 devices to remain connected outside the vehicle. With a straightforward interface and the powerful DeviceOutlook device management platform, this widely-deployed wireless solution delivers effective performance and rich, field-proven software capabilities out of the box. To extend the Vanguard 5530MC capabilities even further, OEMs and developers can build custom applications on the Open Developer Platform (ODP) designed to simplify the development and accelerate time-to-market of embedded M2M and Industrial IoT applications to facilitate distributed intelligence and local decision making at the edge of the network. ODP supports C, C++, Java and Linux programming environments and provides developers with a range of capabilities that includes control of serial and I/O ports, access to device GPS data and cellular modem status information, and direct control of the communication path used including SMS, cellular or Wi-Fi.